Email Monitoring allows you to check the correct delivery of mail system (Whether the voicemail to email has been delivered successfully or not).  Voicemail to email operation is performed by the web configuration automatically and asynchronously to PBX. To monitor the email go to Monitoring –> Synchronization. Recipient Shows the recipient email address. Subject Shows the subject of an email sent: Standard subject message (New message from “followed by” phone number “) is used in the case of voicemail to email service. Indicates that there was a voice message in the email attachment. Indicates that you can download the attached voice message. You can download it by clicking on the download icon. Indicates that an error occurred while trying to send an email as voice attachment. You can see the error message by positioning the cursor over the error icon with the mouse. Green: Indicates email sent successfully. Yellow / orange: Indicates email waiting to be sent. Red: Indicates an error occurred and email was not sent. You can try sending the message by clicking on the yellow/orange or red icon. In the event of failing to send an email, you can look at the diagnostic to debug the problem. You can also see the full format of sent email by going to Toolbox –> Files. Last Send time Shows the date and time of the attempt to send an email. Attempts Shows the number of attempts to send an email. Actions You can see the details (e.g. content, sender, recipient and attachment) of sent email by clicking on the action icon.